Carlisle Laboratories Limited recently took delivery of a SADE SP240 weight sorter from CI Precision for use in their Tablet/Capsule Production department for 100% weight sorting for quality control. Carlisle Laboratories have been using weight sorting units from CI Precision for over 15 years. 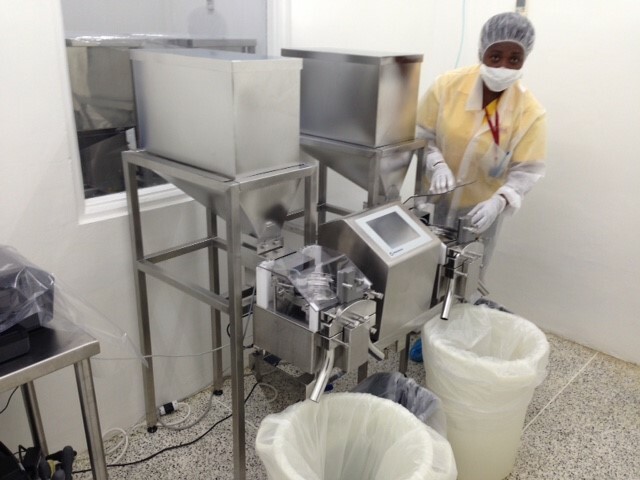 The SADE SP240 is used to weight sort both tablets and capsules: tablet sizes are between 5.5 – 13mm; capsule sizes: 0,1, 2. Batch sizes vary between 100,000 – 2,500,000 items. Carlisle Laboratories also purchased an SP Connect software licence, Validation Support Documentation and a Full Spares Pack. The company is a small branded generic pharmaceutical manufacturer producing products in Barbados, West Indies, since 1961 and exporting more than 80% of its production mostly within the Caribbean area. Carlisle Laboratories currently operate a small but well-equipped plant which includes some electronically controlled machines and robotics. They produce a range of liquid, semi-solid and solid dosage forms across a range of about 200 SKUs, supplying the private and public sectors throughout the region.